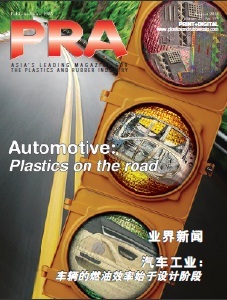 Luxembourg-based plastics supplier Ravago says it has further expanded its already-strong presence in Europe with the introduction of manufacturing capabilities of TPE into China. This dedicated manufacturing line is scheduled to begin production in April 2016 in Huzhou, Zhejiang, China. This expansion will be adding additional development and manufacturing resources to further expand its current global TPE business to a 75,000-tonne TPE capacity at four production sites around the world. Its product portfolio covers TPE-S, TPV, TPO and TPU is led by the global brands of ENSOFT, ENFLEX, EZPrene and RAVATHANE. 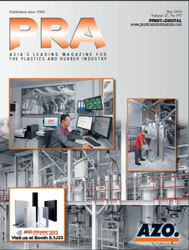 Ravago's primary TPE manufacturing and technology centre is located in Istanbul, Turkey. Additional manufacturing and development locations include; Arlington, Texas; Steinfurt, Germany and Huzhou, China are dedicated to the manufacture of the company’s complete line of thermoplastic elastomers (TPEs). The production and engineering operations of Ravago Petrokimya (Turkey) are certified to the standards of ISO 9000 and ISO/TS 16949:2002 for quality systems. Ravago group represents over 4 million tonnes of annual polymer sales serving 40.000 active customers through 200 offices across more than 50 countries worldwide. Ravago’s production competence consists of 30 manufacturing facilities of which 18 recycling and compounding plants in North America, Europe, Turkey and Asia with a combined annual capacity of over 600,000 metric tonnes, 3 EPS production plants in Europe and 9 manufacturing plants that are offering finished product solutions for the building and construction sector as well as 5,000 employees.